Sometimes mentioned as the “Stone of Change”, Botswana Agate is an incredible stone mainly used as a protection against evil things. Sterling silver is one of the latest additions to the amazing list of precious and semi-precious metals that are worn as jewelry. This variety of metal is becoming popular simply because it is lightweight, has sheen and is extremely versatile. You can easily team up precious, semi-precious gemstones with sterling silver and become the star attraction of any party or event. Sterling silver is slightly different from authentic silver because it is made of 92.5% silver and 7.5% other metal, most commonly copper. The 925 mark makes sterling silver unique, wearable and extremely chic. 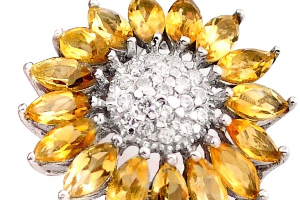 If you have collected quite a few sterling silver jewelries over the years, it is time you learn about how to keep them sparklingly clean and shiny. When sterling silver jewelry is exposed to air over a long period of time, it tends to tarnish and lose its color. This primarily happens because of copper. Copper easily reacts with moisture and sulfur that’s present in the air and causes the jewelry to tarnish. Moreover, sterling silver tarnishes quickly in areas that have high humidity and air pollution. This kind of jewelry can also lose its color when it comes in close contact with hairspray, perfume, body lotion, deodorant, bleach etc. 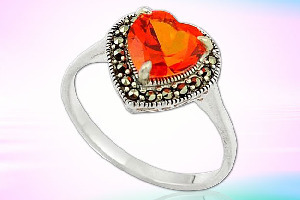 It is thus essential that you regularly make it a point to clean the sterling silver jewelry. If you are wondering how you should do it, check out the few simple ways that are mentioned below. The secret to keeping sterling silver ever-shining and sparklingly new is to clean it often. One of the easiest ways to do so is soaking the sterling silver jewelry in a mild cleanser for a few minutes. Rinse off after sometime and wipe it dry with a soft cloth. The mild cleanser can be homemade by mixing a pump of mild liquid soap with a cup of warm water. Use this method to clean sterling silver jewelry at least once a month. However you must not soak any jewelry which has gemstones or pearls on it. Instead use a cotton swab to wash only the silver portions of the jewelry. 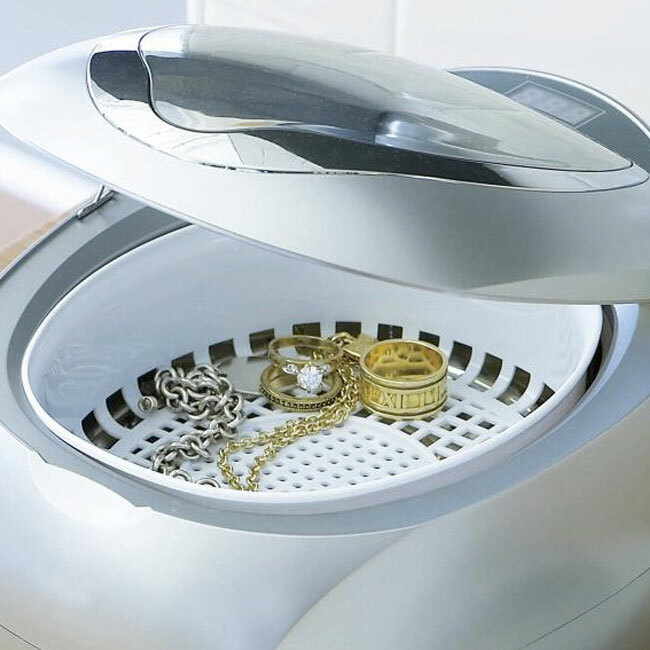 It is true that there is much contention on whether you should use an ultrasonic jewelry cleaner to clean sterling silver jewelry. While some give the go-ahead and tells you to use such a cleaner at least once a year, several other experts warn you against any such action. If you have just sterling silver jewelry without any gemstone on it, you can use an ultrasonic jewelry cleaner once in a while. However, do not use such a cleaner if the jewelry is studded with a gemstone. It is because the chemical in the cleaner can substantially damage the gemstone in the process of cleaning sterling silver. 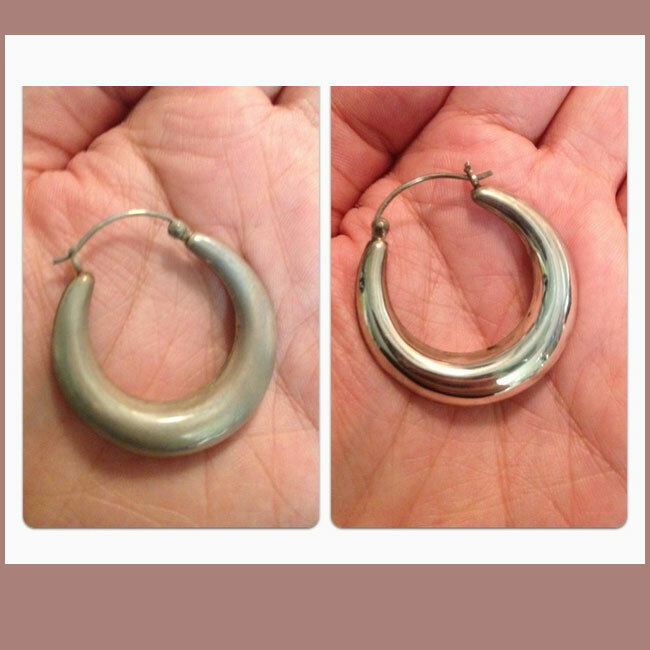 One of the best ways to keep sterling silver jewelry from being exposed to air and other chemicals is to lock them up in air-tight containers. 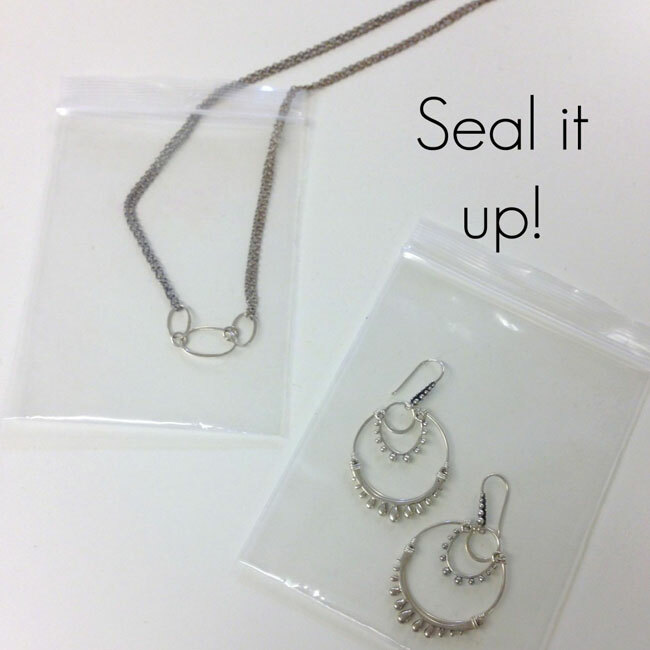 When not using the jewelry it is important to keep the silver in an air-tight environment. It is advisable to use Ziploc bags and other air-tight containers for the purpose. Also try to avoid putting too many sterling silver jewelries together. Try to have individual plastic Ziploc bags for all the jewelries. This also prevents them from scratching one another. You will also find special jewelry boxes in the market that help to keep your jewelry tarnish free. Tarnish-free cloths are also available to wrap bigger pieces separately. Another important thing to remember if you want to keep your sterling silver jewelry in its best condition is to avoid exposing it to harsh chemicals. Do not leave it in the open where it can easily come in contact with household cleaners, detergents, hairsprays and shampoos. 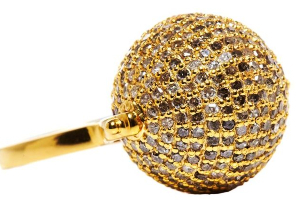 These things not only tarnish the jewelry but can damage them permanently. You should always remove any sterling silver jewelry when taking a bath or when going to the swimming pool. The chlorine in the water can also damage the shiny finish of the metal. 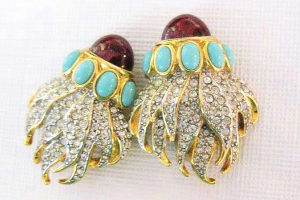 Never store such jewelry in the bathroom where it is exposed to moisture on a daily basis. Moreover if you have to apply perfume or deodorant, do it before wearing the jewelry. 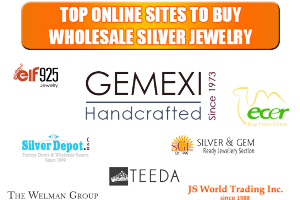 Basically the general rule of thumb for sterling silver jewelry is this – wear it the last thing before leaving the house and remove it the first thing after returning home. Remember that regularly maintaining and cleaning sterling silver jewelry will keep it in its best condition. But it doesn’t mean that you should rub it hard or recklessly clean it without following the prescribed procedures. Whenever you are unsure how to clean the jewelry, especially one with gemstones embedded, go to a professional jeweler and seek his expert advice.